Apple’s Force Touch is an interesting evolution in touch-input, which essentially measures how hard your touch gesture is – whether you’re lightly touching the surface or pushing down on it. Based on this information, the software can let you do different things. For example, a light touch might open the image you are tapping but a heavy touch might show you more information about it. Force Touch debuted in the Apple Watch, and will reportedly be in the next iPhone as well. Apple has also used Force Touch in new trackpads on its laptops. Of course, this is all locked to these very specific Apple devices, so you either have it built in, or you don’t. That’s where our, latest Kickstarter of the Week, the Sensel Morph, comes in. The Morph is essentially a larger, more customisable Force Touch trackpad that will work with your iPad via Bluetooth, or your PC using a Micro-USB cable. The Morph uses a pressure grid, and can detect multitouch gestures as well as different levels of pressure – all the way from a paintbrush stroke, to a drumstick’s strike. And that’s where the most interesting part of the Morph – and the reason for its name – comes in. Sensel will be releasing the Morph with a series of overlays – thin skins that slip onto the Morph – that transform it into a physical controller, with a tactile map. 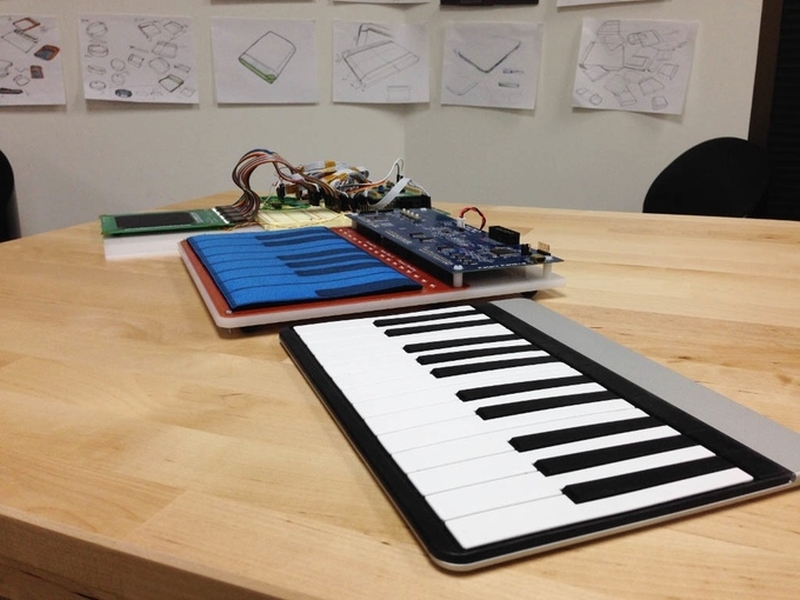 So, you could lay out a keyboard on top of the Morph, and touch-type, or place a piano and feel the individual keys. You could also place a piece of paper on top of it, and then draw on it with pens or pencils, and capture that using the Morph.